Best Forearm Crutches Reviews - Which One Will You Choose? Reviews of The Best Forearm Crutches – Which One Will You Choose? There are several manufacturers of the forearm crutches available. When you are going to shop for the best forearm crutches, it is advisable to consult with the experienced user. Consider different features you need for your forearm crutches. Comfort is one of the most important to consider when you want to have the best crutch for long-term use. Make sure you consider this first fact before jumping to any products. Cost is also one of the considerations for a forearm crutch. The price range of forearm crutches varies depending on the extra features and the manufacturer. Though different companies offer different prices, make sure you balance between cost and quality of the forearm crutches of your choose. In general, for many products, higher prices correspond to higher levels of the quality. I recommend you look at your budget before going for the best forearm crutches. So, take a look at my reviews of the best forearm crutches. 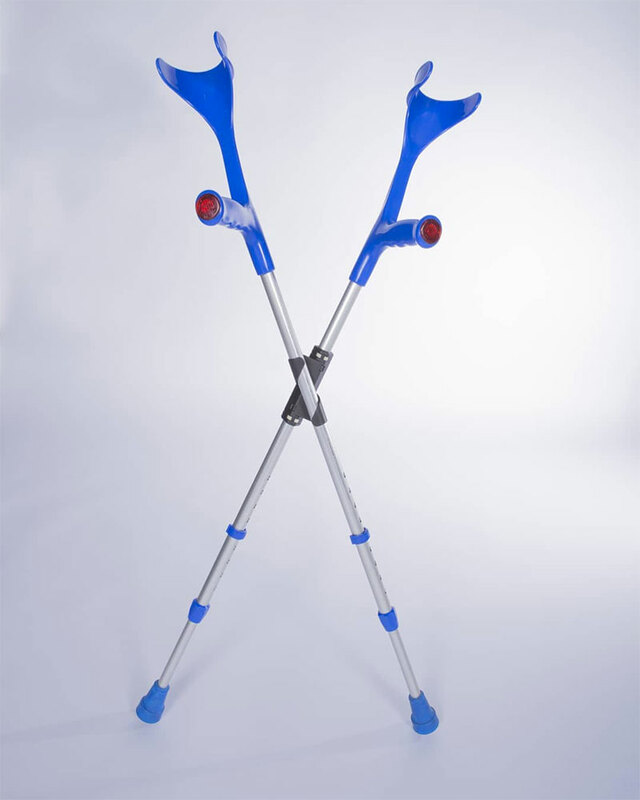 This comfortable, fully adjustable crutch designed to make your lives easier during recovery. With the new patented, proven technology and extra features, this crutch is so efficient. What is the main thing you hate when walking with the crutches? Yes, it’s a pain associated with walking on crutches. So, a good crutch must take away that pain and make you feel comfortable when walking with it. You should keep in mind that consider this thing when buying any crutches. If not, it’s sure you will throw your crutches away after the first of using them. So, how about this product? With this Ergobaum® Prime, you can be sure to walk comfortable and safe. So what features make it do that very well? It’s equipped with Shock Absorber Patented Technology (Unique feature), and Spring Loaded legs that reduce impact with the ground. It makes the feeling safe with the Ergocap High-Performance Crutch Tip and Safety Features (Night Light, Horn, & Safety Reflectors). It also provides a fully adjustable height range to properly fit almost adults 5′ to 6’6” up to 350lbs. Ergobaum Crutches are the first forearm crutches in the market with the full adjustability of the grip handle position. It’s heavier than a standard forearm crutch, so it’s not for people who have upper body weakness. I would really recommend this product for anyone who is large and strong enough to use it. Check the price of Ergobaum crutch. Must say, this is my favorite crutch! And I’m sure you also love it once you use it. 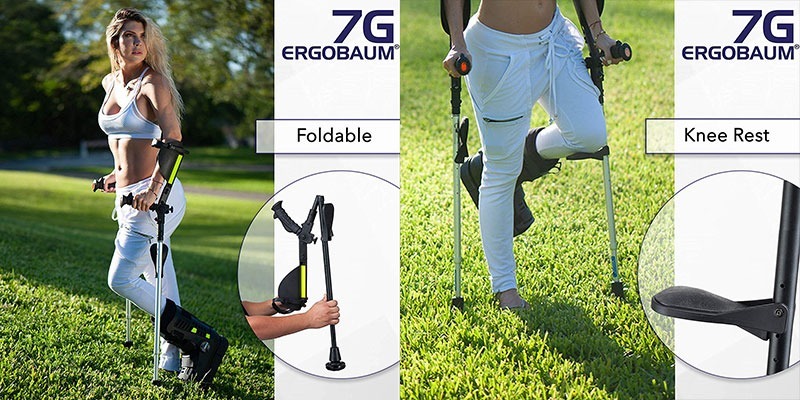 Come with the decent price; the Millennial Medical Forearm In-Motion Crutch is really a high-end crutch so that you can be sure of its quality for long-term use. If you ever had nerve damage and carpal tunnel syndrome, then The Forearm Crutches are designed for you while it tends to reduce the impact on your wrist so also reduce nerve damage and carpal tunnel syndrome. This product is equipped with the shock absorbers, Spring Assist Technology, Articulating Crutch Tips that makes sure you can have a comfortable and safe walking experience. 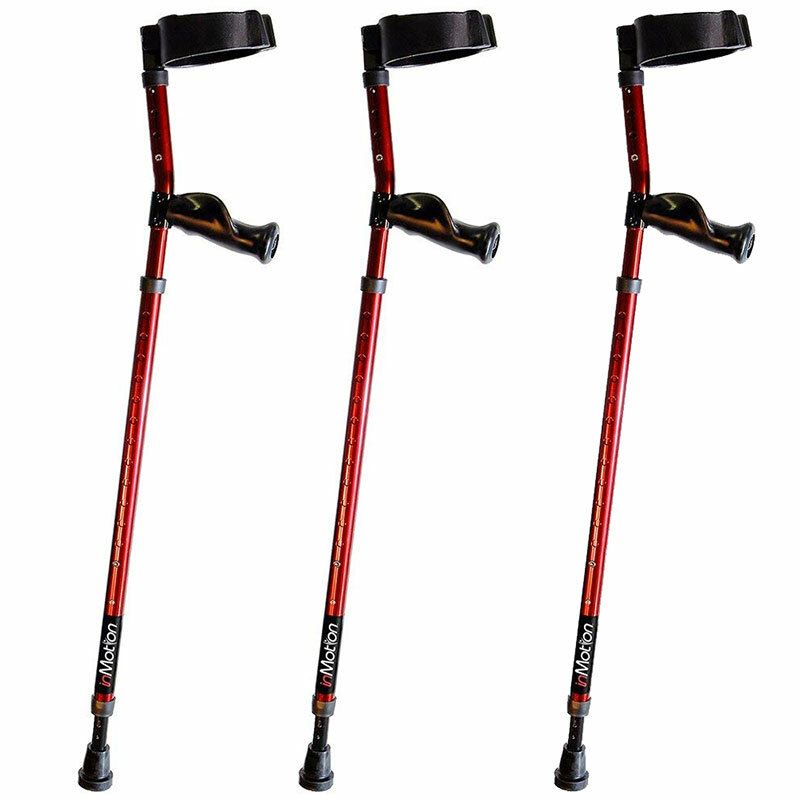 These Forearm crutches come in 2 sizes that can fit all user approximately from 3’6″ to 6’3″. They also come in 3 different colors (Glossy Black, Blue, and Red) for you to choose from easily. If you’re on a tight budget or just want to buy a standard forearm crutch for short-term use, then don’t go there. And I also have many cheaper options for you. Millennial Medical Forearm comes with a 1-year warranty so you can give it a try without any hesitation. If you want a forearm crutch for non-weight bearing, then the Opticomfort is a good option to go with. It’s very lightweight with 1.12 lbs each, yet very solid and flexible so you can use it for a long time. The Opticomfort can fit user approximately from 4’3” to 6’6” in height, and maximum user weight is 286 lbs. It features a flexible crutch tip to maximizes surface contact at the angle that makes sure your safety. The soft grips are well cushioned and comfortable that causes no pain in your hands, however, seem a little slippery on wet hands. But you can easily maintain the grips by using something a little more tacky to wrap the grips. It also equipped with a padded handgrip & padding in the posterior portion of the forearm cuff, that will give you a comfortable and convenient walking experience. In terms of the drawbacks, like other users, I don’t like a removable button/clip for height adjustment and its material – plastic. But if you don’t care that much, then this is a great one for a comfortable walking. 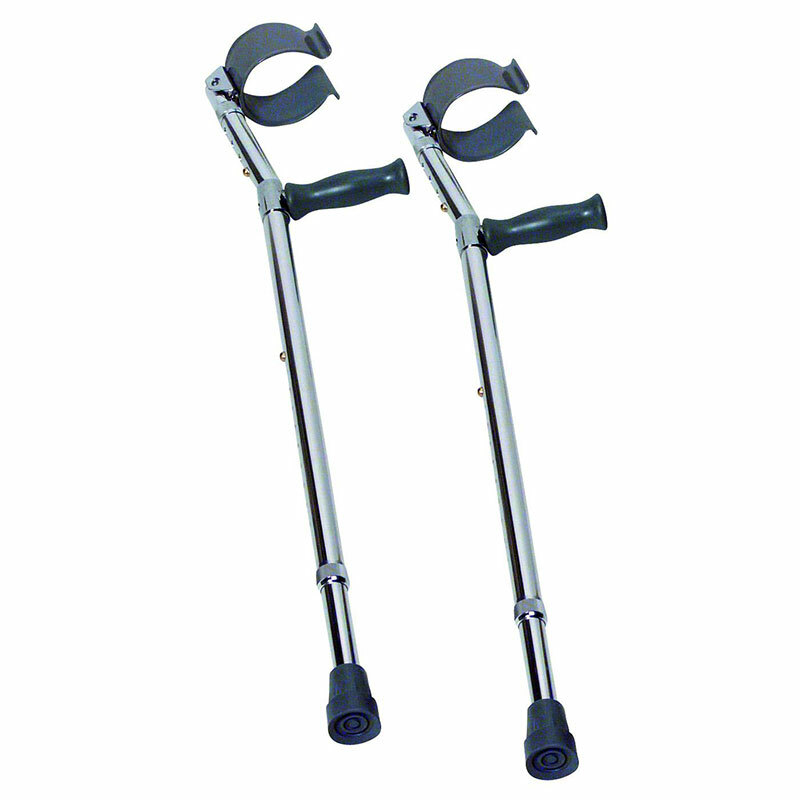 Check Price of opticomfort forearm crutches. Most of the users are satisfied with this product. You might wonder why people love it so much. So now, I will show you what it will offer you? It makes your walking more comfortable and safe without any hurt on your arms, especially when you have to take a long road. It’s lightweight but very solid and durable so that you can use this forearm crutches for a long-term use. Its look is a bit rusty as its picture. And you need to spend a little while on it to get familiar to crutches when you first start using them. The bottom line is if you’re looking for a set of crutches that do a good job with very affordable price, then look no further. If you’re tight on budget or you’re just boring your crutches’ color, then I have this for you. For the cheap price, the Drive medical euro forearm crutch perform relatively well that can offer almost your needs. User’s recommended height is from 60″ to 74″ and up to 300 lbs in weight. This crutch is made of lightweight aluminum. Compare to the traditional style forearm crutches on the market; it is lighter than them with 1.5 pounds each. So it’s easy to handle and transition to normal walking. It is also much less painful on walking compared to the underarm crutches. The Drive medical euro forearm crutch is recommended for short-term use. If unfortunately, you have a knee surgery or a foot surgery, you can use it temporarily. It’s not a perfect forearm crutch, but it’s an excellent alternative to traditional underarm crutches. Check the price of Drive medical euro forearm crutches. First off, take a breath, relax your body, keep your arm hanging down at your side, stand up straight and check the height of the hand grip by measuring where the hand grip is in relation to your arm. The handgrip should be level with the crease of your wrist. If not, you just need to adjust it. After checking the height of the hand grip, you need to adjust it by locating the pop in-out spring loaded button. Simplify, you just need to push this button up or down to adjust the height. At that time, you can do a test to check whether you have the crutches at the right height or not. Now stand up straight with one crutch. Then look at the angle of your elbow to make sure your elbow is bent about 20 degrees. Do the same thing with the rest of your crutches. And finally, you need to fix the crutches at the right height so they won’t shift around. Crutches are defined as a medical aid which provides complete support to a patient who is injured below the waistline. There are many different designs available and categories that have been developed over the years in order to provide complete support to the patient according to the severity of the injury that the patient is currently suffering from. Speaking of crutches, the history dates back to the development of this particular product which was developed using bamboo sticks. It was mainly introduced in order to provide support to an injured person below the waistline and especially for the legs. 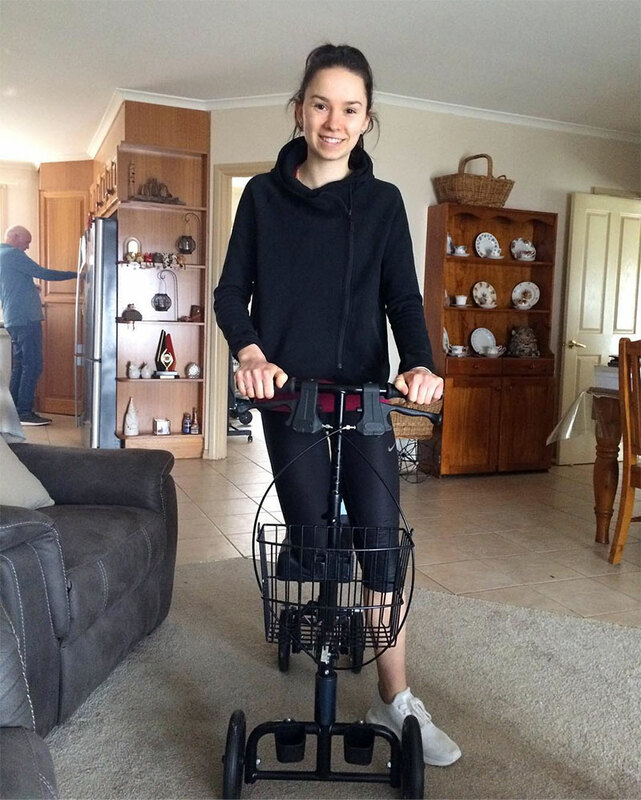 There have been a number of changes to the design in order to provide complete comfort to the patient that will help them carry their own weight and make it feasible for walking. Forearm crutches are provided to patients who are permanently disabled and require a crutch to walk all throughout their life. This particular crutch is designed with cuffs at the top which help the wearer to obtain complete support to his or her forearm. It is usually a single state to which the cuff is attached to the topmost position of the crutch, which is inclined at a particular angle in order to provide a resting position for the forearm. The usage of this particular crutch is mainly found in the United States of America, Canada, and London. Depending upon the injury and the severity of the accident, a doctor will prescribe this particular model of a crutch in order to provide complete support to the patient. There are many companies that manufacture crutches in the market. It is important for the patient to be on the lookout for comfort and convenience rather than the design of the crutches. Forearm crutches are best used by people suffering from a permanent disability as they are lightweight and also provide the option to adjust the level of the cuff portion of the crutch so that the wearer can adjust the bending angle of the forearm in order to achieve comfort. The cuff portion is manufactured with high-density rubber in order to provide comfort to the wearer. The V-groove, which opens to the opposite side of the forearm, provides the patient the opportunity to throw away the crutch when the patient falls down. Since you now have all of the information you need about forearm crutches, if you’re looking out for one of your family members or for yourself, you will now be able to look for the best quality oriented product in the market. Though the required forearm crutch is prescribed by the doctor, you can still look for the one that will provide the best comfort and convenience. One can carry out a little research in order to understand the different products that are currently available in the market from different manufacturers. There are various websites that provide complete information about such products and also about the dealers in a particular locality who offer the quality service one requires. Different models provide varying comforts to the user, and it is necessary to check for the same thing before one purchases forearm crutches. If you’re looking for assistance that will help to carry you and provide you comfort, you need to look for a forearm crutch. A crutch is defined as a medical aid that is provided to a patient who is injured below his waist level, especially his legs. 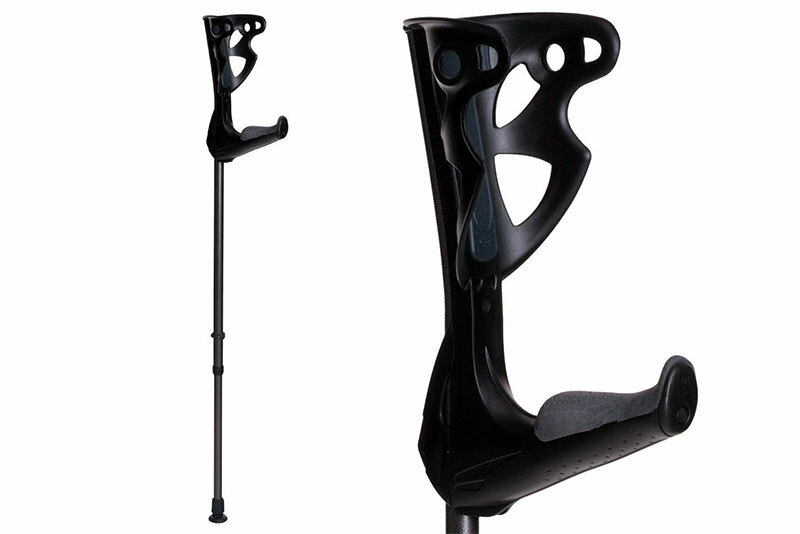 The development of crutches has seen great changes in their design over the years. With the advancement of technology, the product has provided not only for support but also as a convenience factor for people suffering from a permanent or a temporary disability. There are different models present under this particular category, and it completely depends upon the individual to choose the best among them all so that it provides comfort, as well as the convenience to walk freely by putting the complete weight of the body under the armpits. There are many companies that are present in the market which offer different models and varieties of forearm crutches. A forearm crutch usually supplies support to a permanently disabled person who needs assistance to carry his weight freely and to walk comfortably. On the topmost end of the crutch is a cuff which provides the opportunity for the wearer to place their forearm through the cuff, which is placed at an angle. This is to provide support to the person, who will then be able to walk freely and also at the same time, puts his weight equally onto the crutch. Though many people who suffer from a temporary or permanent disability are prescribed a particular model of the crutch, it is very important for the patient to select a particular type of forearm crutch that will make them feel comfortable while walking. One can carry out a small study to obtain the best product that is available in the market. There are many websites present on the Internet which provide complete information about different products. Obtaining information from such a process will help an individual carry out a comparison process easily. 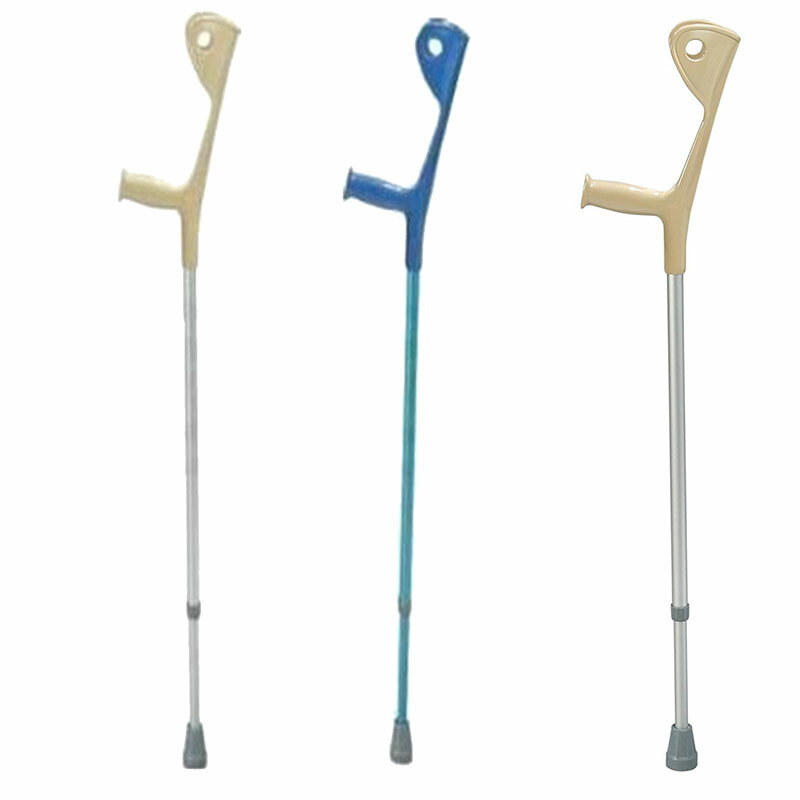 The comparison process is usually carried out on the durability the crutch provides and also the material with which it has been manufactured. As the cuff provides protection and support to the forearm of the patient, it must be selected in such a way that it does not cause any inconvenience to the patient. Although the doctor prescribes a particular model of the forearm crutch, it is very important to purchase a crutch after taking into consideration the point of view of the patient. As it will be difficult for the patient to obtain every model that is present, the next best thing is to carry out research based on the problem. 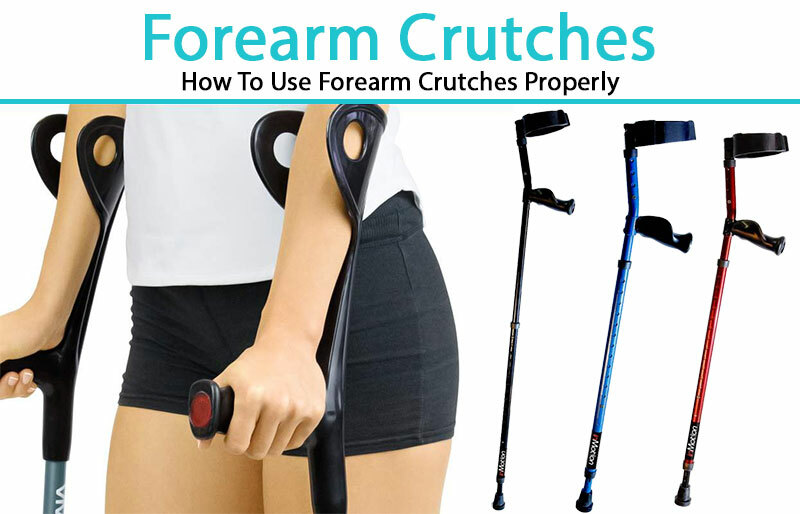 This particular action will also help the user to come across the reviews that are posted by different users who are already utilizing a particular model of the forearm crutch. It is also very important for the user to look out for the reviews posted by users so that they will obtain the best available product in the market while still taking into consideration the prescription that has been provided by the doctor. Good article, very informative. What are forearm crutches? Forearm Crutches, or also known as Elbow Crutches or Canadian Crutches, are shorter than regular walking crutches. They are with a cuff that goes around the forearm, elbow or wrist for added support & stability. Instead of being placed under the armpit, forearm crutches distribute weight in the arms.